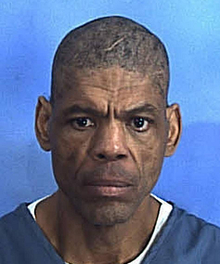 Darren Rainey (January 12, 1962 – June 23, 2012) died at the Dade Correctional Institution (Dade CI) in unincorporated Miami-Dade County, Florida, on June 23, 2012. The prison is in proximity to Florida City, and is south of Homestead. In 2014, Dade CI prisoner Mark Joiner accused prison authorities of fatally torturing prisoner Darren Rainey, who was mentally ill, by scalding him in a shower. A prisoner stated that 50-year-old Rainey, DOC#060954, had defecated in his cell and refused to clean it, and because of that the prison guards punished him. He died on June 23, 2012. Originally the police classified the death as unexplained, and the DOC never punished any staff. Two officers on duty at the time of the death later received promotions. 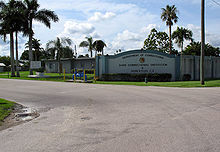 The police began interviewing witnesses after the Miami Herald obtained public records and made a visit to the prison. Rainey was locked in a shower for two hours. It was designed so that he had no control over the temperature of the 180 °F (82 °C) water. He died from burns to more than ninety percent of his body. It subsequently became known that his skin "fell off at the touch". At least eight other prisoners had also been subjected to a scalding shower within Dade's "Transitional Care Unit". As a result of the police investigation, human rights organizations such as Amnesty International, the American Civil Liberties Union (ACLU) of Florida, and the Florida Council of Churches sent a letter to the United States Attorney General Eric Holder, asking for intervention from the U.S. Department of Justice (USDOJ). In April 2014, George Mallinckrodt, a psychotherapist who worked from 2008 to 2011 at the Dade Correctional Institution's psychiatric ward called the Transitional Care Unit, filed a complaint with the USDOJ about the way mentally ill prisoners are treated. In July 2014 Mike Crews, the FDOC secretary, suspended Jerry Cummings, the warden of the Dade Correctional institution, and put him on paid leave. Later that month Cummings was fired. By May 2015 the Miami-Dade Police Department had not criminally charged anybody, and the Miami-Dade medical examiner never conducted an autopsy. That month the U.S. Justice Department began investigating Rainey's death. In January 2016, the Miami-Dade Coroner's Office completed the autopsy of Darren Rainey. The autopsy was "leaked" to the Miami Herald and ruled Rainey's death as accidental, stemming from a combination of the confinement in the shower, his heart/lung problems and his schizophrenia. The coroner did not determine that the staff did not intend to hurt Rainey nor that the shower had excessive heat. The final autopsy has not been released to the public. ^ a b Brown, Julie K. "Prisoner: I cleaned up skin of inmate scalded in shower; human-rights groups call for federal intervention" (Archive). Miami Herald. June 25, 2014. ^ a b Press, Eyal (2016-05-02). "Madness". The New Yorker. Retrieved 2016-06-22. ^ Cordner, Sascha. "DOC Sec. Crews Suspends Warden Over Inmate Death Two Years Ago" (Archive). WFSU. July 10, 2014. Retrieved on May 26, 2015. Bertrand, Natasha. "Feds probe case of inmate locked in a shower 'torture chamber' and scalded to death" (Archive). Business Insider. May 21, 2015.